Sarah Smith shared this snowy picture of her GSD Stormy just hanging out in the snow. She seems very serene in this shot. She must love being in the snow, hence the name. Does your German Shepherd love being in the snow or prefer to be inside? 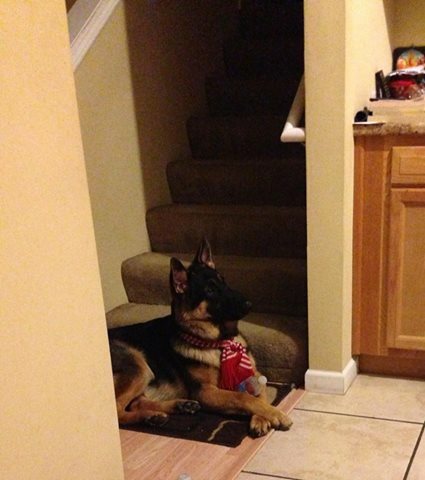 Johanna Ponce Shared That Her GSD is Ready for the Season!